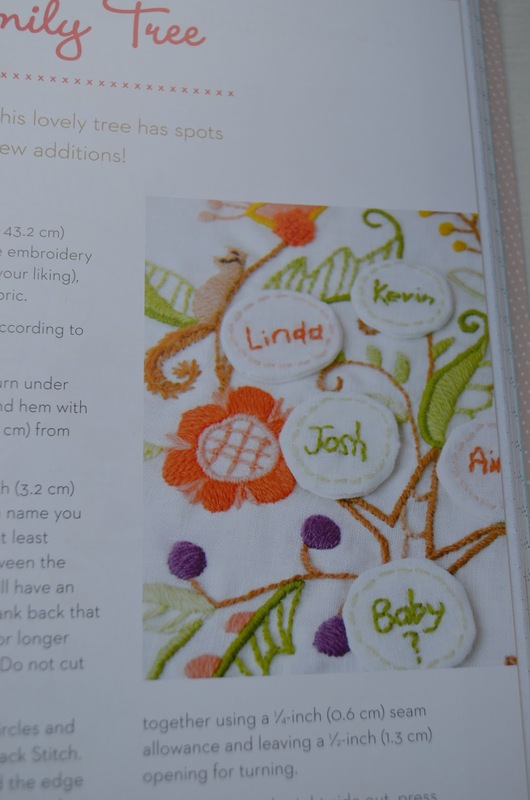 Aimee Ray's first book (Doodle-Stitching) was a book very suitable for beginning embroiderers. I think I learned my first stitches (such as the back and split stitch) from that book! Her new book Doodle Stitching. Embroidery & Beyond is very much a follow up to that first book. With only a few basic embroidery skills and this book in your lap you can dip your toes into several embroidery techniques without getting buried under heaps of information. Actually Embroidery Basics (like what materials you need and basic stitches) are covered in this book as well so a confident or enthusiastic beginner could definitely use this as a starting point to explore different types of embroidery. All chapters (Cross Stitch & Decorative Stitches, Applique & Color, Redwork & Crewel, Sashiko & Sisha and Cutwork & Stumpwork) have short introductions to the techniques and many projects with instructions to try them out. It makes techniques that may seem a bit daunting, accessible and less 'scary' for beginners. With a book with such a wide scope it's inevitable that the introductions cover the basics but do not go beyond that. Having said that, I do think the 'cross stitch' section could have done with a little more explanation and illustrations! 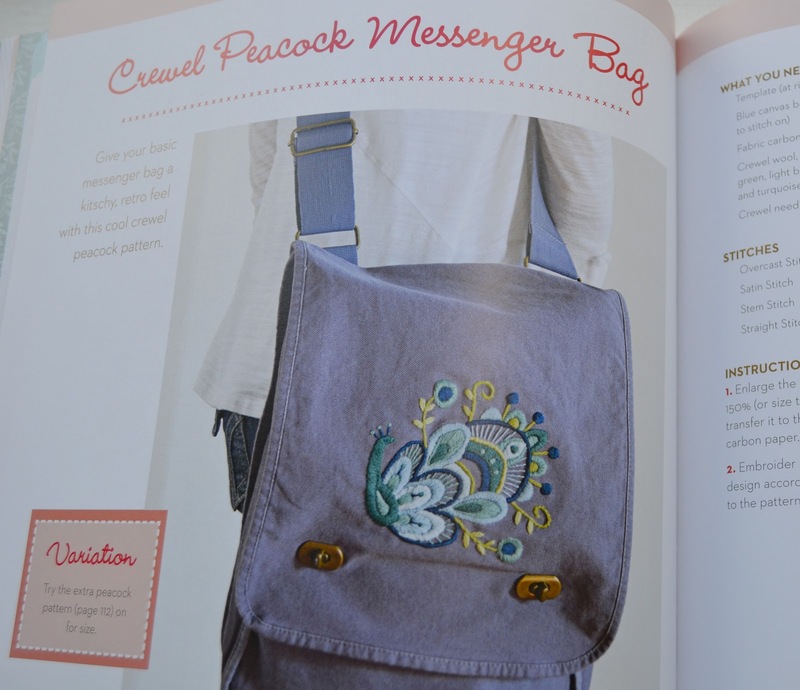 Now if you are a fan of Aimee's patterns you will find some really good ones in this book. 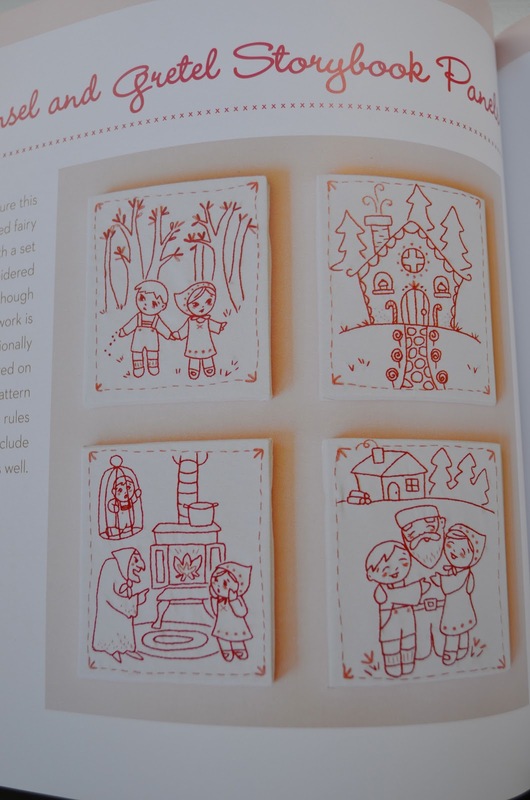 There are too many to mention but I especially love the Hansel and Gretel redwork (with a bit of pink) Storybook Panels. There is a neat project to make your own Embroidered Cuckoo Clock and a lovely interpretation of the Family Tree in Crewel. And I think the Crewel Peacock on a bag is a really fun way too add embroidery to an everyday object. Many of the patterns will have to be enlarged before you can use them. I know a lot of people find that a bother and would rather have full sized patterns included but I guess it's a way of keeping the price of a book reasonable. Doodle Stitching. Embroidery & Beyond is a book which just could set you off in an direction of an exciting embroidery technique that you want to explore further through other books and patterns. The book also offers lots of patterns in Aimee's unique whimsical style that are fun to stitch for embroiderers of any skill level. If you are a more experienced stitcher and looking to explore new techniques, such as Sashiko or stumpwork, it is likely you would choose a more specialized book to begin with. Doodle Stitching. Embroidery & Beyond by Aimee Ray is available in (online) bookstores, for example here. Lark Crafts (also publisher of my pal Carina's book due to be released later this year!) kindly offered me to host a giveaway of the book I just reviewed: Doodle Stitching. Embroidery & Beyond and a set of yummy DMC floss (see the first picture) as well. If you want a chance to win the book and floss, leave a comment on this post before March 19th, 12 AM (Central European Time) and tell me what your favourite embroidery technique is and which one you would like to try some day. I think I'd like to try my hand at Crewel Embroidery. 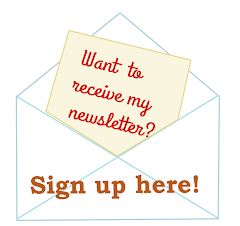 :) You have to either leave your e-mail address in the comment or link to a profile with an e-mail address. If there is no way I can contact you, I will have to draw a new winner (sorry to be so strict but I have had quite a lot of trouble to find some of the winners of past giveaways!) Good luck everyone! Lark Crafts kindly sent me a copy for review without obligations. I have Aimee's first book, which was also a great resource for me. My favorite technique at the moment is needle painting, though I'm have a heck of a time getting it just right. I would love to try Stumpwork at some point; I've seen so many lovely examples of it lately. Great giveaway Nicole! Good luck everyone! I love Doodle Stitching! My favorite technique right now is French knots and I'd love to try Sashiko! What a great opportunity! I'm quite new at embroidery but I love redwork. I would like to try one day Crewel embroidery. :)) Thanks for this giveaway! I'd love a copy of this, Doodle Stitching was brilliant and I'd really like to learn more stitches. Thank for doing a giveaway! This looks a great book with stitches to suit everyone. I enjoy doing small pieces of blackwork and would like to learn more about Sashiko embroidery. I've only done a bit of embroidery so I would say the straight stitch is my favourite. I am hopeless at french knots so one day I hope to be good at them!!! Practice makes perfect they say! Great giveaway, thank you! Oh, I love that messenger bag with the Peacock on it. I'd love to win the book! thanks so much for the giveaway! crewel is on my list of things to try, too! looks like a fun book! Great review, Nicole! I really enjoy Aimee's work and her designs, and I'm drooling over the Hansel and Gretel panels. I haven't stitched anything in over a year, but I know I'd bring out my supplies for this cute book. My favorite technique is French knots, or the stem stitch. I haven't tried Crewel embroidery yet, so Id like to give that a shot sometime soon. I've just tried goldwork and it was really fun, different from anything I've tried before (not that I've got round to finishing the piece). I'd like to try whitework with drawn thread stitches and stuff. I'd love to win this book, it looks awesome. I have Aimee's first two books...I learned how to embroider from her first one! I don't really have a favorite technique, but I do want to learn crewel work. Thanks so much for the giveaway! I would like to try out Applique as I have never done before. I like to try out the decorative stitches too. I love her books too! I enjoy cross stitch anbd embroidery and would also like to try crewel as well as hand appliqué. Thanks for the giveaway! Everytime I see another review of her book, I want to try something new. I haven't got a lot of experience with different embroidery types, so I'm not sure I could pick a favourite (mostly I've just done plain ol' straigt stitching), but red work looks really cool and I still want to try the cut-out embroidery. I love making french knots and bullion stitches (or billion stitches I forget what they are called). i would love to try ribbon embroidery. This looks like such a neat book Aimee..keep up the great work.. This book sounds fun so I can get a taste of a few more styles without having to buy a ton of new books. Currently I'm trying my hand at black work but sashiko and cut work/white work are on my list to try. How exciting! I recently perfected my french knots after much frustration. I would really like to work on satin stitch and try some filled in patterns. Thanks for the great giveaway! This looks another great book from Aimee! I like feather stitch and I'd like to try crewel work and stumpwork! I like the versatility of the fill stitches and the powerful satin stitching. What I would like to try next..? I do not have a specific stitch in mind, more like a group of stitiches where different strands, of different colour shift in and out from eachother - clear as mud? I'm currently obsessed with Sashiko, though I haven't gotten the technique down yet. I'd love to learn appliqué next!. Thanks for the great give-away! I love filling shapes in with French Knots......would love to try some red work. I love the satin stitch and really want to try some stumpwork! thank you - I do like the doodlestitch book and Aimee's designs! I'd love to enter your wonderful giveaway. My main thing is cross-stitch, but I have done numerous other types of needlework. I would love to try my hand at Hungarian Folk embroidery. I love Aimee's work. I also would like a chance to own this book. Sometime in the future I will become proficient at stumpwork..practice makes perfect. I'm loving cross stitch at the moment, but I find doing it on linen a challenge. I'd love to have a go at the crewel work messenger bag. One of my favorite stitches is the french knot. I love to use it to fill in rather than a straight stitch or split stitch. They make perfect little flowers or fruit on a tree or raindrops! The can add a bit of whimsy to any little embroidery. Thanks for the chance, I am a huge fan of Aimee's! I've been cross stitching for years, and although I love it I am letting it take a back seat for a bit as I try out new techniques. Redwork is next on the list and I am looking forward to getting to grips with it and hopefully incorporating it into a quilt I am planning. Such a cool new book. Would love to own this. And I want to try stump work also. So fascinating. This looks like a lovely book - certainly her other books are great and much used in this house! I'd like to try the embroidery when you then cut out sections of threads - I've seen such delicate and pretty examples. I generally use only the very basic stitches, so I'm up for learning anything new. I want to try cross stitch. Not sure if this is international but entering away. Looks like a great book and one that is needed for my library. I've started doing embroidery again from when I was a kid. I know the basic stitches but would love to learn and use more of the fancier stitches. I've done cross stitch before so I'd love to try Crewel and Needlepoint. This giveaway comes right on time as I am trying to learn to embroider. I only know two stitches: back stitch and a french knot. I love french knot. I really would like to learn more stitches to embellish my work, and this book seems like the 'teacher' I am looking for. I hope I win: becha4779 at hotmail dot com. This looks like such a useful and inspiring book. Thank you for offering it as a giveaway. I love stitching of all kinds. On my want to try list is stump work. There is so much stitchy goodness out there that I will never run out of ideas to try. I could wish for more time. Pbnj0802 at gmail dot com Thanks for the book review. I have recently taken up Embroidery and I am loving it. This book would be awesome since I would be able to learn new stitches. One of my step daughters is getting into sewing and I love showing her needle crafts since this brings us together and helps our relationship. It would be nice to learn new things and in turn teach her. I've got one of her books too. I'd like to do Sashiko because I think it would help me learn patience :| but I'm curious about this stumpwork thing, so I think I'll have to go research that now!